The way a business letter is presented speaks a lot about your choice of communication, education, professionalism, and awareness of content. While all you are trying to do is convey a message through the Sample Letter, a lot of other things will be gauged and depending on the quality of it; your business will be judged. Depending on the industry you belong to and the type of communication you are trying to make, business letters might take several formats. Here are some basic ones to check out. Whether you are writing a thank you letter is a response to a meeting/deal or a general letter for all you customers who have been with your throughout the year; it takes more than just two words. While thank you letters shouldn’t be too lengthy, the ideal characteristics should include a prompt reply (written within 24 hours of an event), be highly accurate, be concise and thoroughly professional. Proposal letters are starkly different from the standard business letters. The aim here is to ask for funds or some other kind of favor, and thus, there should be added credibility to the content. 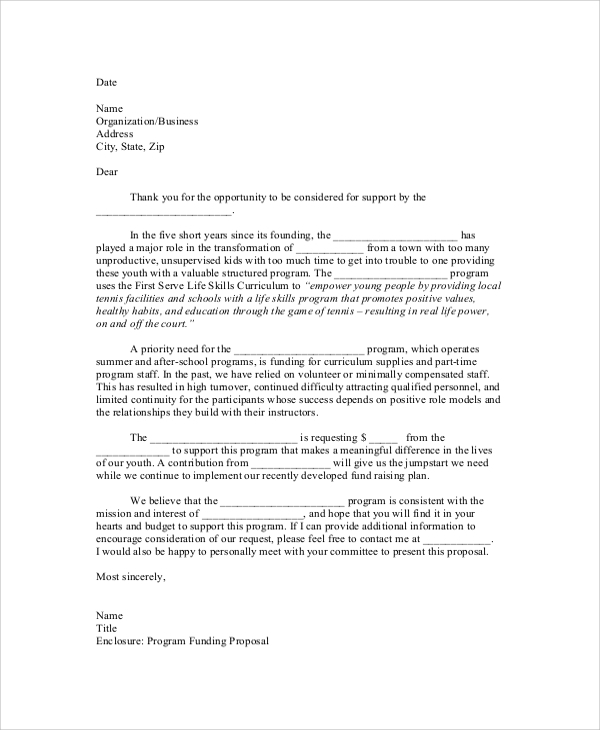 Formal business proposal letters thus become lengthy affairs, but nevertheless follow a layout that makes it easy for the reader to follow the information presented. Check out this sample to know better. Envelopes don’t allow much of space for content but present highly important information. To start with, you will need to follow a format for putting down the addresses, dates, details of the recipient, a small body of content and lastly, a closing address with your sign and business logo. 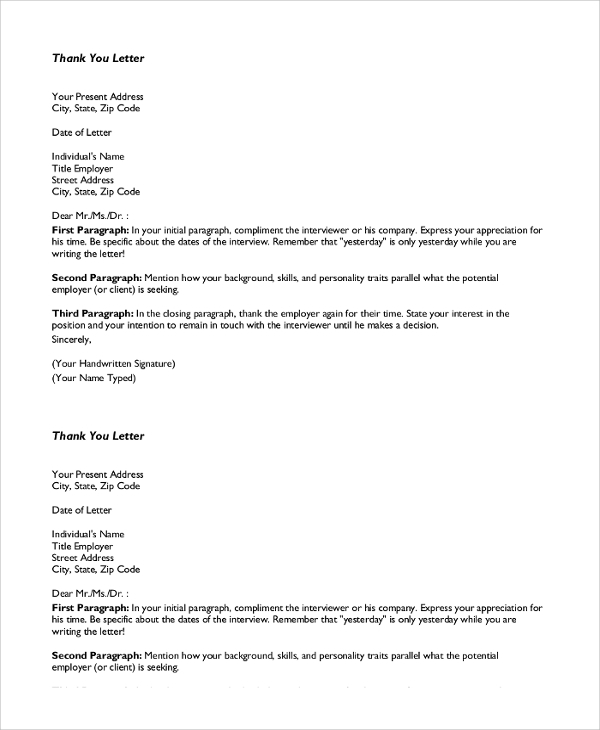 This template offers a highly professional format, used as a standard practice for writing business letter envelopes. To be printed on company letterheads, a request letter is again a short and precise communication that can refer to a variety of business relations. The standard content, however, follows the idea of seeking some specialized services by an organization from another. Business request letters are always followed by a series of communications. 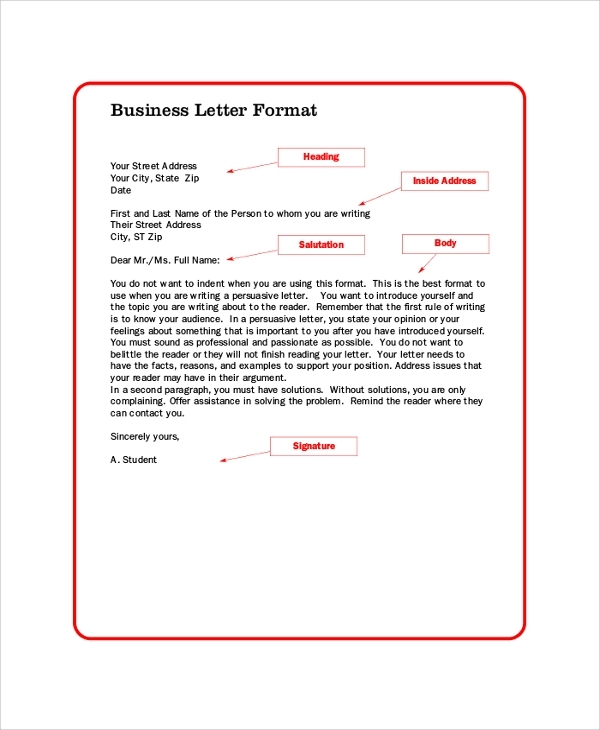 For general business letters and communications containing standardized content, the format follows a simple layout. This template features several of such layouts that can be used to put your content in place. Check them out. 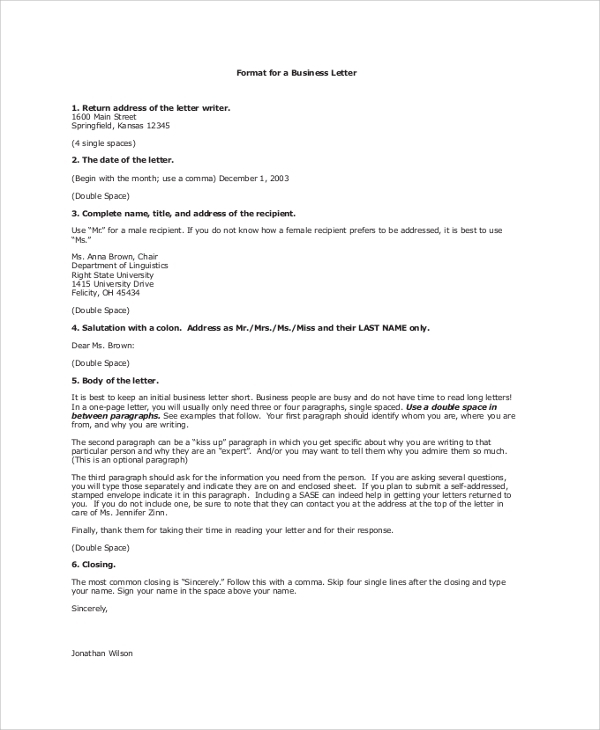 What does a Business Letter Showcase? 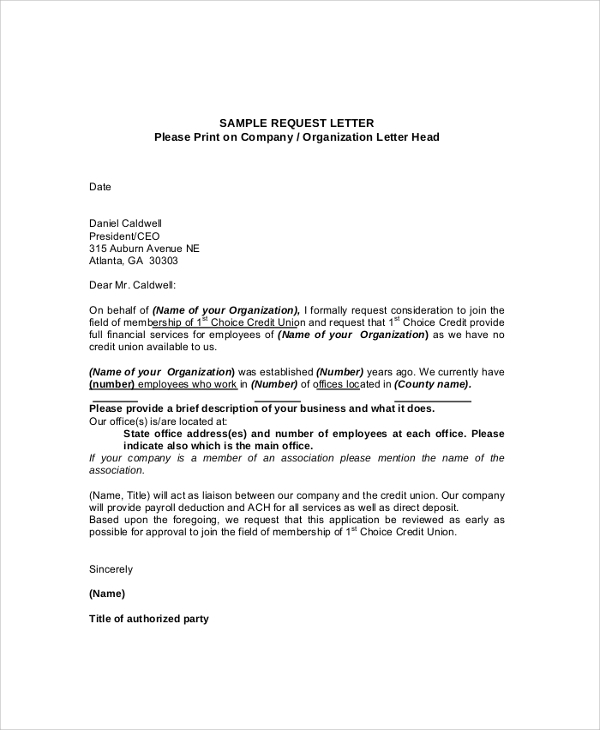 Apart from the specific information, a Business Letter is key to present the professionalism and quality of communication a particular business follows. The style of writing and presentation of information talks a lot about the standard of the firm. 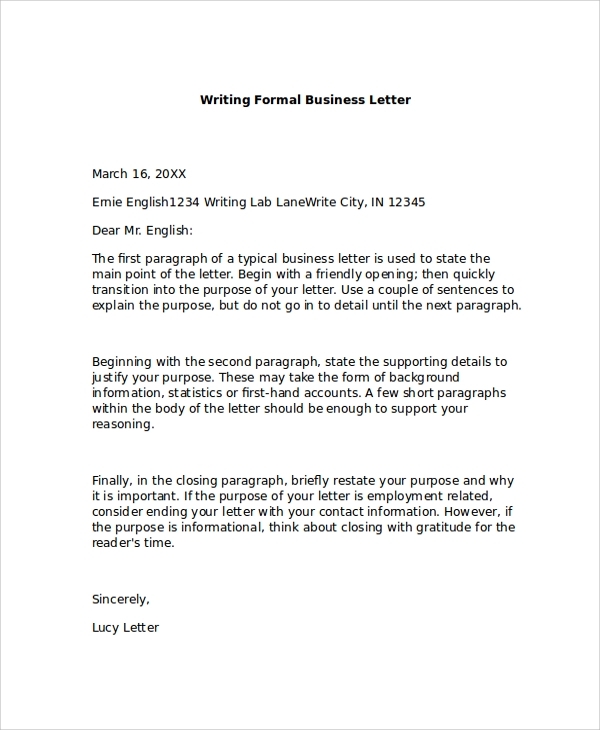 Why do You Need to Use a Business Letter Format? While there is no right or wrong format for a business communication, it is always safe to follow some standard formats. It gives your communication team one less thing to worry about and focus solely on the content. 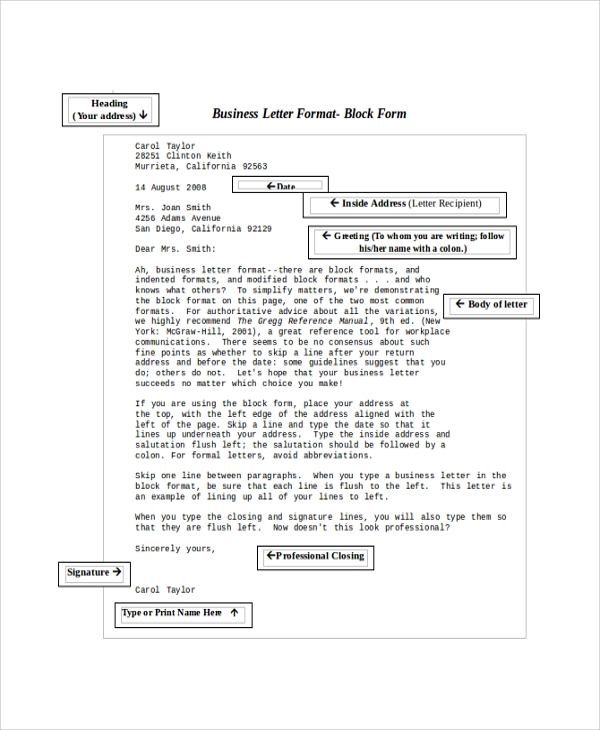 You may also see the Sample Business Letter Formats. 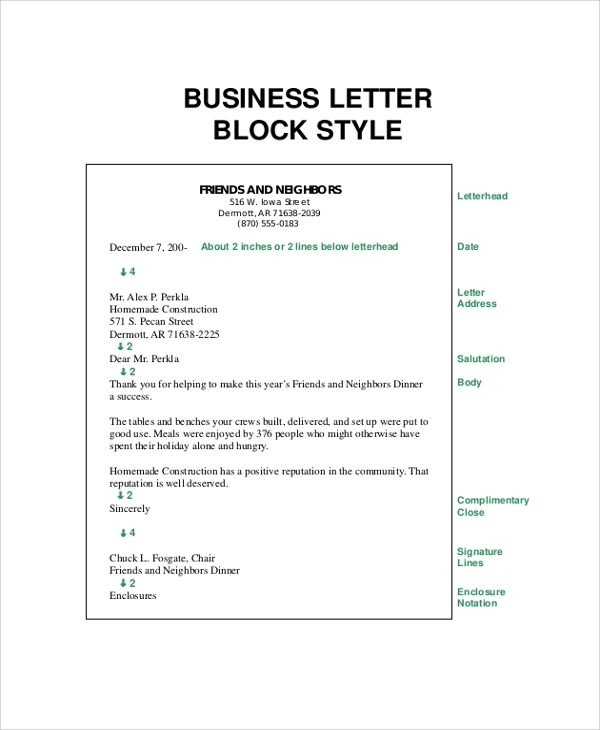 All the above business letters are available as.PDF files and can be downloaded for reference and reuse. Ensure that you follow the detailed guidelines attached with the templates for the best effect.